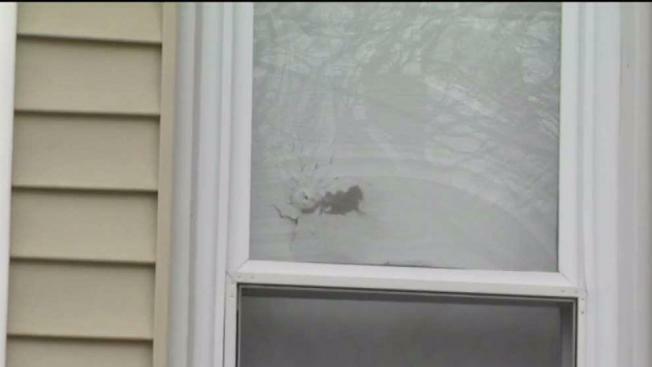 A police chase that began in Haverhill, Massachusetts came to an end in New Hampshire, where gunfire from the chase sprayed into a home occupied by its residents at the time. Two men are in custody after a pursuit that started with a drive-by shooting in Massachusetts ended about 20 miles away in New Hampshire when the vehicle crashed and the driver and a passenger were arrested. The chase started in Haverhill, Massachusetts, around 9:30 p.m. Tuesday. Police said one of the men shot at a house in the Acre neighborhood but then started shooting at them when they gave chase. Home security video shows flashes from the gun coming from the passenger side window. Several bullets went through the walls of a nearby home as a family slept upstairs. Officers from Haverhill chased the Mazda along Interstate 495 before crossing into New Hampshire, where the car took exit 3 in Windham and lost control and crashed into an embankment on Route 111. Two men are in custody in New Hampshire after a police crash that began in Massachusetts on Tuesday. The driver, Manuel Antonio Soto, 20, of Haverhill, was immediately taken into custody. Police said a gun along with two magazines were found in the passenger compartment of the car. 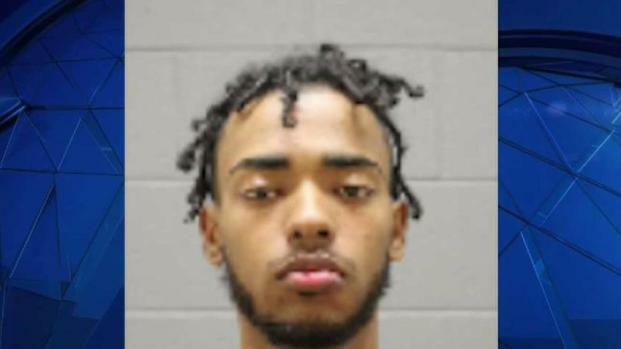 Soto's passenger, Javonnie Chambers, 21, of Berlin, New Hampshire, initially fled into the nearby woods. Police said they knew who they were looking for because Chambers left his driver's license in the crashed car. Following a search of the area, he was eventually located around 2:30 a.m. Wednesday and taken into custody. "We did a perimeter search and a search of the woods. We were unable to find the second subject," Windham police Capt. Michael Caron said. "The subject was (later) found along the highway just north of exit 4 in Londonderry by the state police and brought into custody." No injuries were reported to any officers or either of the suspects. Soto was charged with one count of reckless conduct and as a fugitive from justice. He waived his rendition hearing on Wednesday and will be returned to Massachusetts to face charges there. 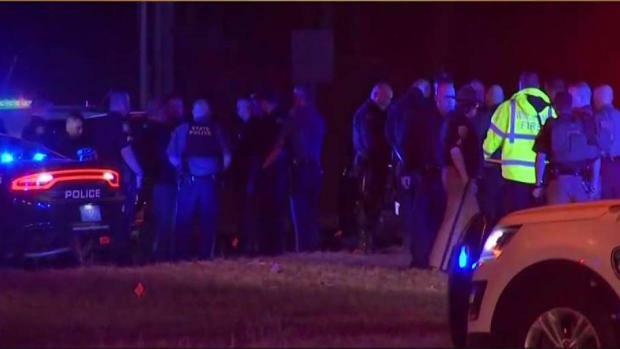 Authorities are still searching for a second suspect after police chased a car from Haverhill, Massachusetts, into Windham, New Hampshire. Chambers was arraigned on fugitive from justice and resisting arrest charges and also faces an assault with intent to murder charge in Massachusetts. It wasn't immediately known if the two have lawyers.